Okay, let me preface this by saying there was a sale. A huge sale! It was on Boxing Day at Book Outlet and most of these books I bought for around three-four dollars and most are hardcover. Seriously! I'm still in shock by the amount of books I purchased, but the deal was great and I couldn't pass up some of these awesome titles. A big thank you to Random House! I found out yesterday that the Super Bowl is this weekend, apparently I live under a rock (or at least a rock that blocks out all things sports). Anyways, have a great weekend and I hope your team wins! I don't even know who's in the game, I just know the Bears didn't make it! Boo! I'm going to go curl up with a good book (I'm leaning towards Seraphina), grab some rum punch and have a relaxing night. See you on Monday with a new post! Whoa, Such pretty stacks of books. The Madman's Daughter is my favorite series, and The Grisha Trilogy comes in a close second. I was never able to get into The Winner's Curse no matter how many times I tired. Oh. Well I just learned from you that the super bowl is this weekend...oops. Great haul! Awesome haul. 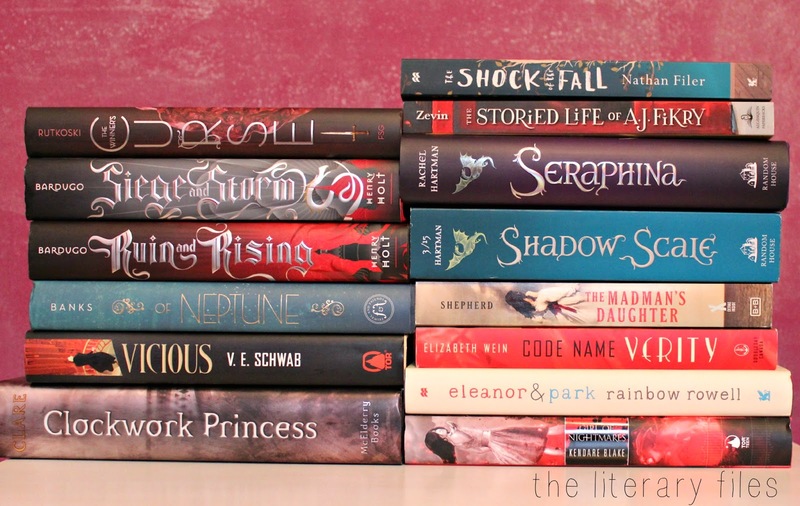 The covers for Seraphina and Shadow Scale definitely have me interested. I hope you love all your new books. They're so pretty and shiny too! haha! :) Thank you! I think that I may start Seraphina today too...when I saw arcs for book 2 popping up it was the reminder I needed to pull it off my TBR! Ooo awesome! I hope you love it! I'm a couple chapters in and really enjoying it. Can't wait to hear what you think! Thank you!